If you are considering starting an NDE discussion or support group in your community, please fill out the form below. Early on, decide the group's purpose and stick to it. Do you want a peer support group primarily for experiencers, speaker group or a study and discussion group for the general public? Your purpose will determine which people you invite and the program structure once they arrive (more about this later). It is easier to grow than to manage a large group at the very beginning. At the exploring stage you need only a handful of people and a couple of hours a month for quiet discussion. Officers, letterhead, and rented meeting space can come later. Word of mouth does work. The leader of any IANDS group is a member of IANDS. That's basically it! A group operating in accordance with these policies may use the name IANDS- [town], or [town]- IANDS, or may choose another name. Each local group is financially independent of IANDS. 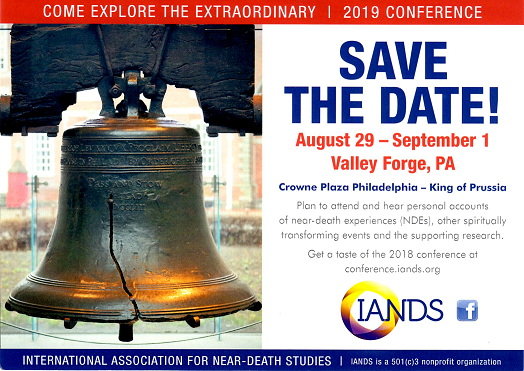 IANDS accepts no responsibility for financial agreements made by a local group without the express written authorization of IANDS' treasurer or another member of its Executive Committee. If you're interested in starting an IANDS group, then fill out and submit the request form.